Astronomy space vector seamless pattern. 图库插图: Astronomy space vector seamless pattern. 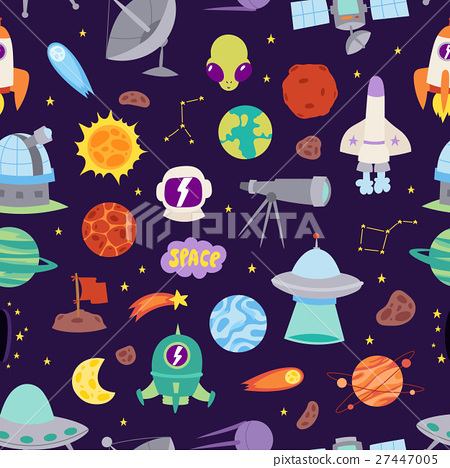 Astronomy solar system cute cartoon planets seamless pattern for kids. Vector Illustration astrology space background with rocket shuttle and moon sky.